SDDC Archives - VIRTUALIZATION IS LIFE! 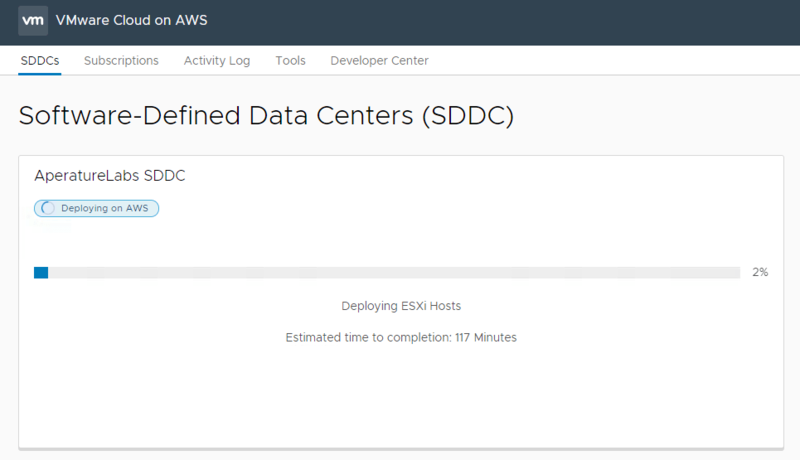 While preparing for my VMworld session with Michael Cade on automating and orchestrating the deployment of Veeam into VMware Cloud on AWS, we have been testing against the Single Host SDDC that’s been made available for on demand POCs for those looking to test the waters on VMware Cloud on AWS. The great thing about using the Single Host SDDC is it’s obviously cheaper to run than the four node production version, but also that you can spin it up and destroy the instance as many times as you like. Single Host SDDC is our low-cost gateway into the VMware Cloud on AWS hybrid cloud solution. Typically purchased as a 4-host service, it is the perfect way to test your first workload and leverage the additional capability and flexibility of VMware Cloud on AWS for 30 days. You can seamlessly scale-up to Production SDDC, a 4-host service, at any time during the 30-days and get even more from the world’s leading private cloud provider running on the most popular public cloud platform. To get started with the Single Host SDDC, you need to head to this page and sign up…you will get an Activation email and from there be able to go through the account setup. This big thing to note at the moment is that a US Based Credit Card is required. Once this has been configured in the AWS Region the SDDC will be deployed into the process can be started. 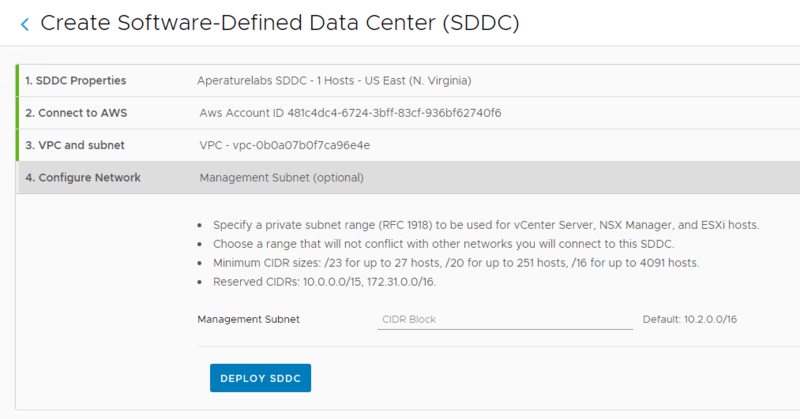 First step is to select a region (this is dictated by the choices made at account creation) and then select a deployment type followed by a name for the SDDC. The next step is to link an existing AWS account. This is not required at the time of setup however it is required to get the most out of the solution. 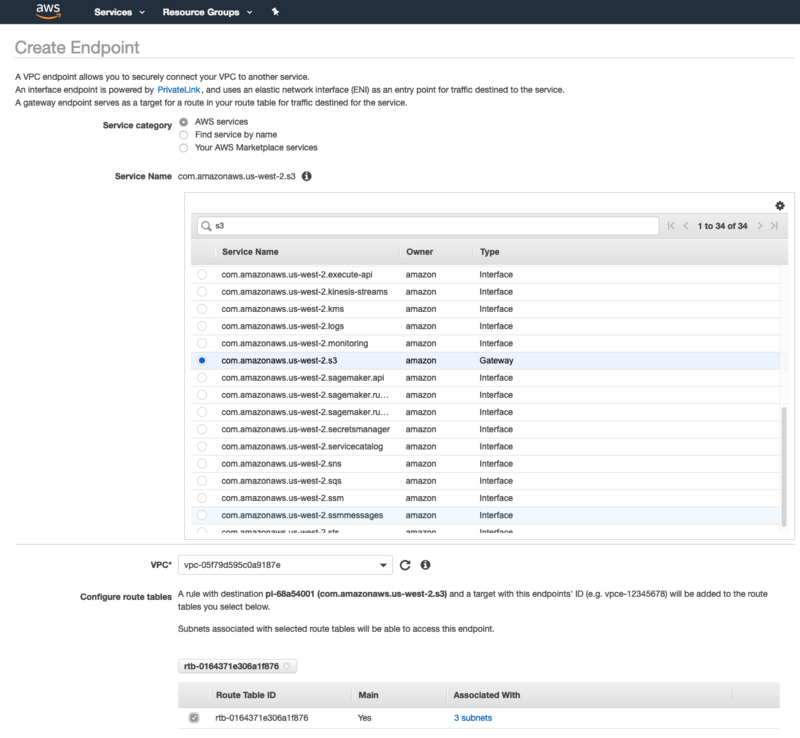 This will go off and launch an AWS CloudFormation template to connect the SDDC to the AWS account. It creates IAM role to allow communication between the SDDC and AWS. [Note] I ran into an issue initially where the default location for the CloudFormation template to be run out of was not set to the region where the SDDC was to be deployed into. Make sure that when you click on the Launch button you take not the the AWS region and change where appropriate by change the URL to the correct region. The next step is to select the VPC and the VPC subnets for the raw SDDC components to be deployed into. I ran into a few gotcha’s on this initially and what you need to have configured is the subnets configured to size as listed in the user guides and the post I linked to that covers networking, but you also need to make sure you have at least three subnets configured across different AWS Availability zones within the region. This was not clear, but I was told by support that it was required. If the AWS side of things is not configured correctly you will see this error. What you should see…all things being equal is this. Finally you need to set the Management Subnet which is used for the vCenter, Hosts, NSX Manager and other VMware components being deployed into the SDDC. There is a default, but it’s important to consider that this should not overlap with any existing networks that you may look to extend the SDDC into. From here, the SDDC can be deployed by clicking on the Deploy SDDC button. [Note] Even for the Single Instance Node SDDC it will take about 120 minutes to deploy and you can not cancel the process once it’s started. Once completed we can click into the details of the SDDC, which allows you to see all the relevant information relating to it and also allows you to configure the networking. Finally, to access the vCenter you need to configure a Firewall rule to allow web access through the management gateway. 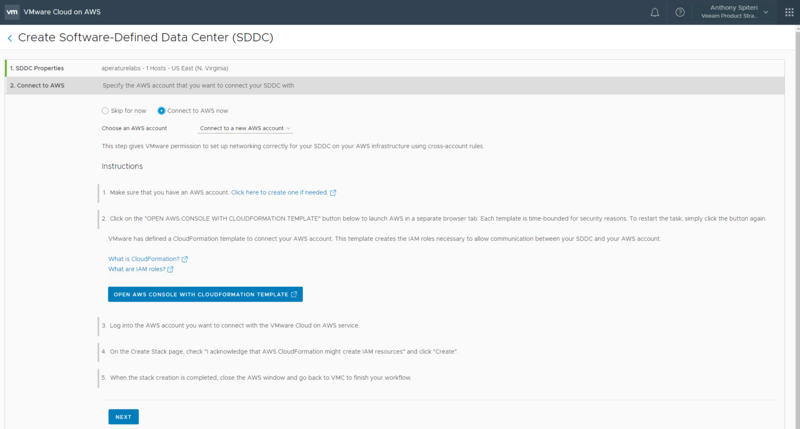 Once completed you can login to the vCenter that’s hosted on the VMware Cloud on AWS instance and start to create VMs and have a play around with the environment. There is a way to automate a lot of what i’ve stepped through above…for that, i’ll go through the tools in another blog post later this week. I was luckey to attend PEX at Australia Technology Park this week and thought I would share some of my take always. The venue was a little different to what you would come to expect from a tech event in Sydney… Usually we are in and around Darling Harbour at the Convention Centre… And even if there where whispers of VMware being late to book the event in the city the surroundings of the old rail works in Redfern refurbished and transformed into a spectacular Centre for technology and innovation fits. There is a fundamental shift happening in how we consume IT and pretty much all leading technology vendors are in the process of embracing that change. VMware have chosen to focus on three key areas and after a few years of letting the dust settle they have three main pillars of focus. I’ve written about EUC and their Hybrid Cloud Offerings in the past so I’m not going to focus on that in this post…but the one thing I will say is that VMware still have a material understanding of where their partners sit in the ecosystem and still see them being central to their offerings… As a Service Provider guy working for a vCloud Powered provider there is some concern around the vHPC platform that will be deployed globally over the next few years… But we need to understand that there has to something significant in the Public Cloud space in order to compete with AWS and Google … And maybe Microsofts Azure. AWS is a massive beast and will only be slowed by its own success…will it get too big and product heavy… therefore loosing focus on the basics. There has been the evidence in recent weeks about increasing issues with instance performance due to capacity issues. With regards to the SDDC push … Last year was the year of network virtualisation but what excites me more at this point is the upcoming features around software defined storage. There has been an explosion of software based storage solutions coming on the market over the past 18 months and VMware have seen this as a key piece to the SDDC. vVOLs and vSANs represent a massive shift in how vSphere/vCloud environments are architected and engineered. Storage is the biggest pain point for most providers and traditional SANs might have well run their race. There is no doubt that storage arrays are still relevant but with the new technology behind virtual sans on the horizon direct access storage will start to feature… Where we had limitations around availability and redundancy previously the introduction of technology that can take DAS and create a distributed virtual San across multiple hosts excites me. Why tier and put performance on a device that’s removed from the compute resource? It’s logical to start bringing it back closer to the compute. Not only to you solve the HA/DRS issue but, given the right choices in DAS/flash/embedded storage there is potential to offer service levels based on low latency/high IOP data store design that takes away the common issue with shared LUNs presented as VMFS or NFS mounts for data stores. Traditional SANs can certainly still exist and this set and in fact will still be critical to act as lower tier high volume storage options. For a technical overview of VMware Distributed Storage check out Duncan Eppings (@DuncanYB) Post here: There is also a slightly dated VMwareKB overview by Cormac HoganÂ (@VMwareStorage) that I have embedded below…note that it’s only the tech preview, but if it’s any indication of what’s coming later in the year…it can’t come soon enough. Being able to control the max/min number of IOPs garunteed to VM/VMDK similar to the way in which you can select the IOP performance on AWS instances is worth the price ofÂ admissionÂ and solves the current limitations of vSphere in that you can only set max values to block out noisyÂ neighbors. Vendors that are already pushing out solutions around storage virtualization continue the great work…anything that sits on top of this technology and complements/improves/enhances it can only be a good thing.